On Good Friday our Lord was crucified, just as He and the Scriptures foretold. We call it Good Friday, because had Jesus not been sacrificed we could not be saved, so it was a good day for us, but being wrongfully accused and killed by jealous men does not usually make for a “good day.” Then on the third day, Easter, Jesus rose from the dead, concurring, Satan, death and sin forever, just as He promised He would do. The Easter weekend is arguably the most important period in a Christian’s life, because it is the culmination of promises made by God to his people throughout history. It is the victory of good over evil, forever. Yet for all of its importance, only Friday and Sunday are celebrated or written about in the Bible. 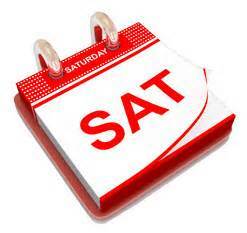 Saturday is left out of the story completely. Is this because Saturday was not important; nothing big happened so why write about it? No, I believe Saturday is as important to understanding the mercy and salvation available from God as the death or resurrection. Saturday teaches us patience; to wait for God’s timing and not ours.